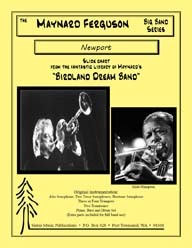 Finally, Slide Hampton's incredible music is in print. 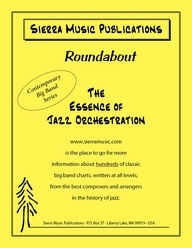 Written for and recorded by the North Texas One O'Clock Lab Band (Lab'99), this chart is a wonderful mix of an even-eighth feel and swing feel with the usual, wonderfully-interesting writing of Neil Slater. 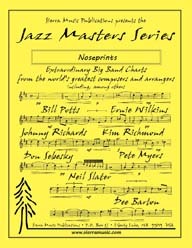 Neil Slater, the former director of Jazz Studies at the University of North Texas, is a superb composer. Neil brings us yet another brilliant, original piece in the ECM style. 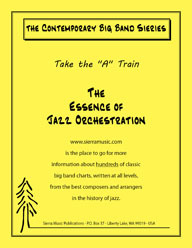 As recorded on the Lab 2011 CD by the North Texas One O'clock Lab Band, this is one of Neil Slaters newest compositions. Ever heard of "Take the A Train?" Not like this you haven't! Another ingenious arrangement from the towering Rich DeRosa, this up-tempo swing chart is a journey through creative waters from beginning to end and will not disappoint. This composer won the Gil Evans Fellowship with this composition. Neil Slater has created a marvelous composition. Neil Slater, the Director of Jazz Studies at the University of North Texas, is a superb composer.